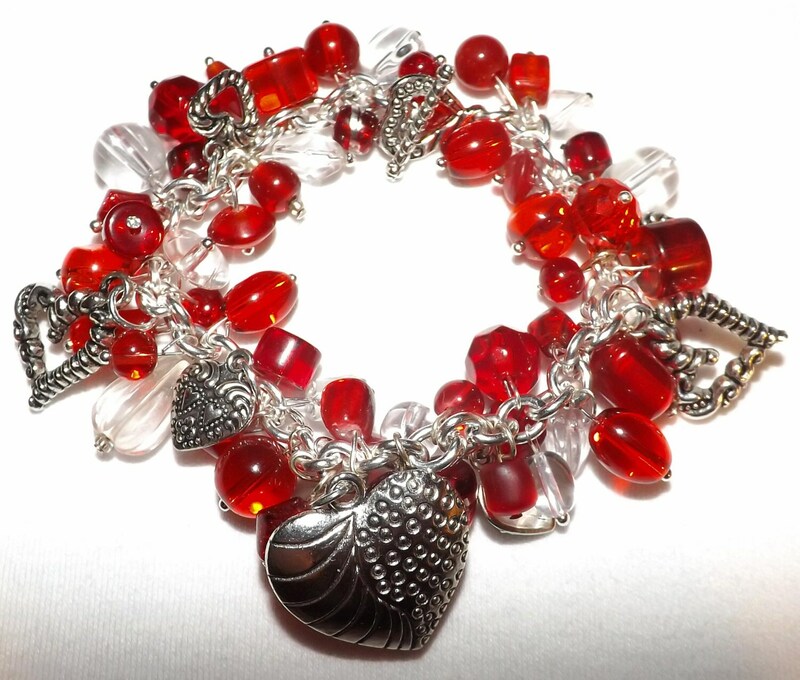 Here is a great gift to give your Valentine, every time she wears it she will be reminded of your Love for her. 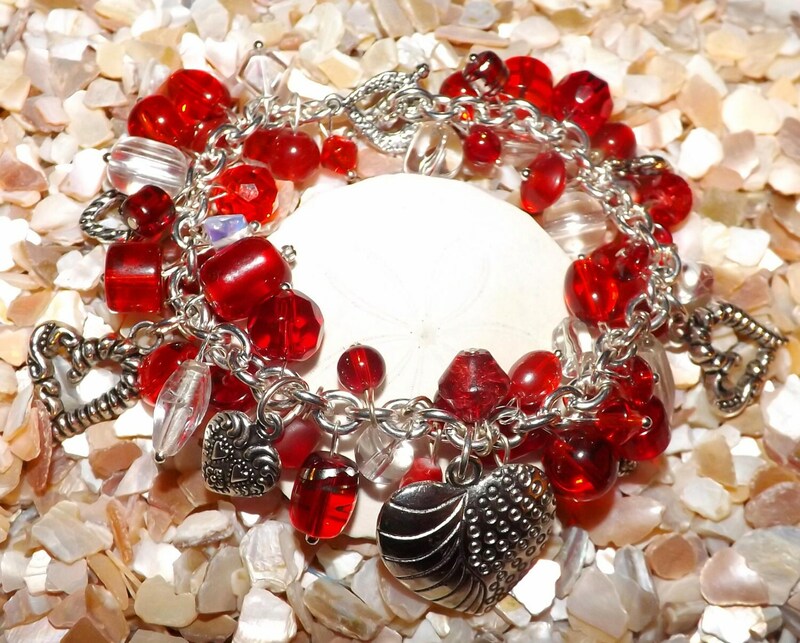 It is made with Red & clear beads & heart charms. Bead style & shade and heart charms may vary depending on availability, message me if you would like to see a pic of your bracelet before purchasing.